On Saturday my man and I went to Austin’s Farmers Market downtown. It was our first time there because we usually sleep too late on the weekends! But we got up early and headed down there. There’s food stands, plants, bands, and of course fresh fruit and vegetables. When we first got there we got some food. He got duck egg and chorizo and I got tofu curry. Then we wandered around a bit. We ended up getting some carrots, broccoli, radishes and a strawberry plant. Today I cut up some of the veggies and made a ranch dip to eat them with. 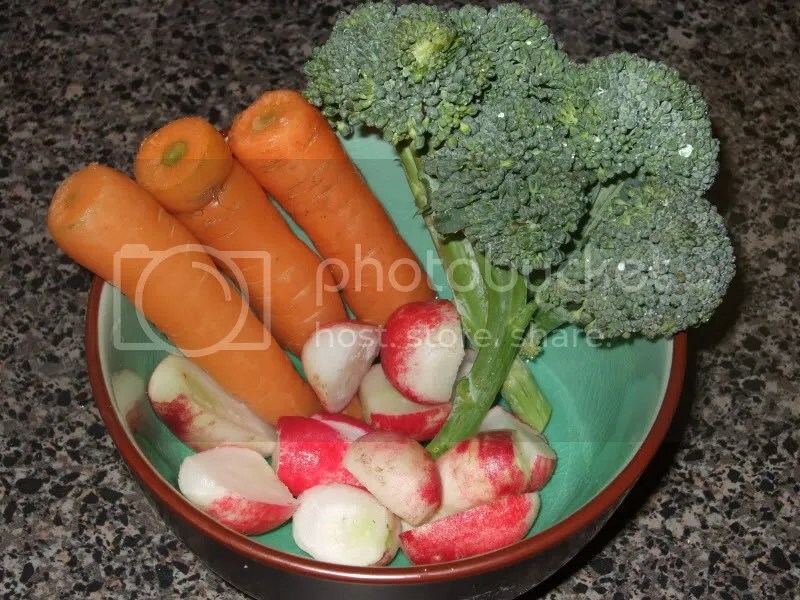 The carrots and broccoli were great, but the radishes were a bit dried out. The ranch dip I made was super easy, yummy and of course vegan! You can easily make more or less depending on how much you need too. Mix all the ingredients together. If you want more of a salad dressing instead of dip add soymilk until you get the desired consistency. 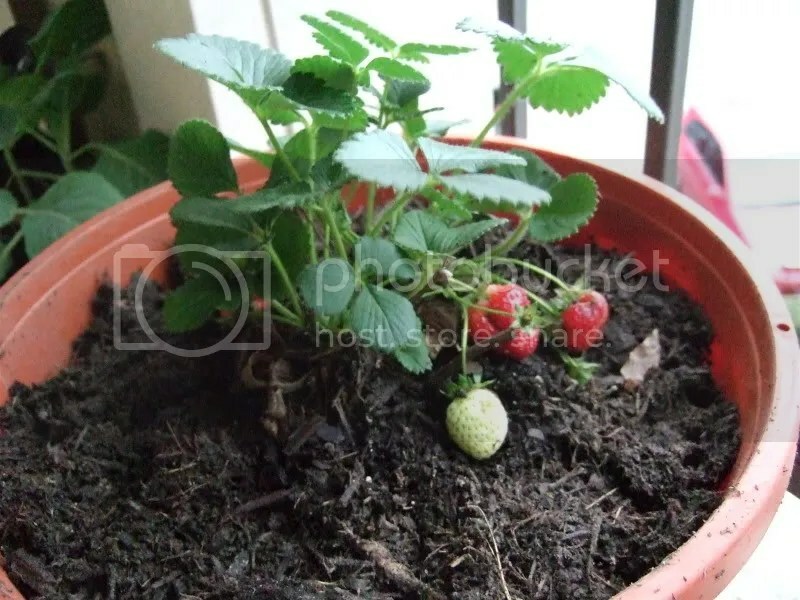 Here’s our strawberry plant right after we replanted it into a larger container. 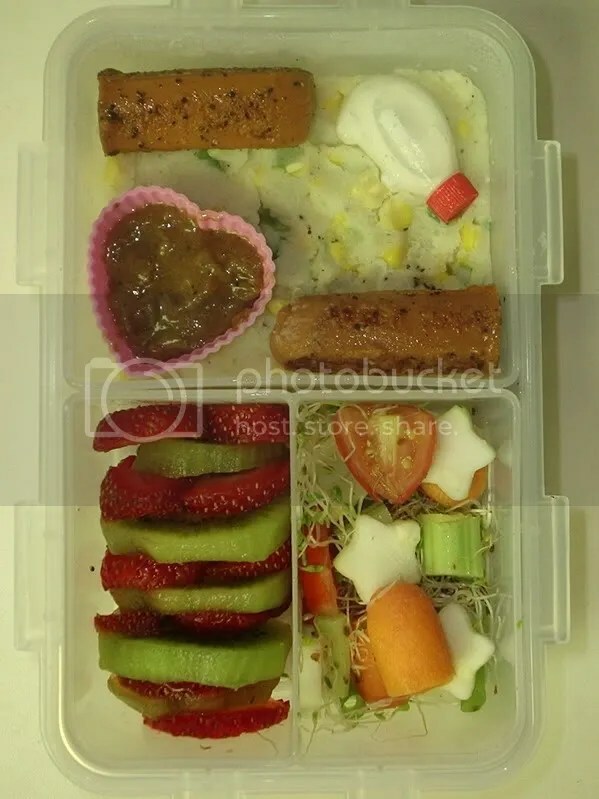 As you can see it already has strawberries on it!